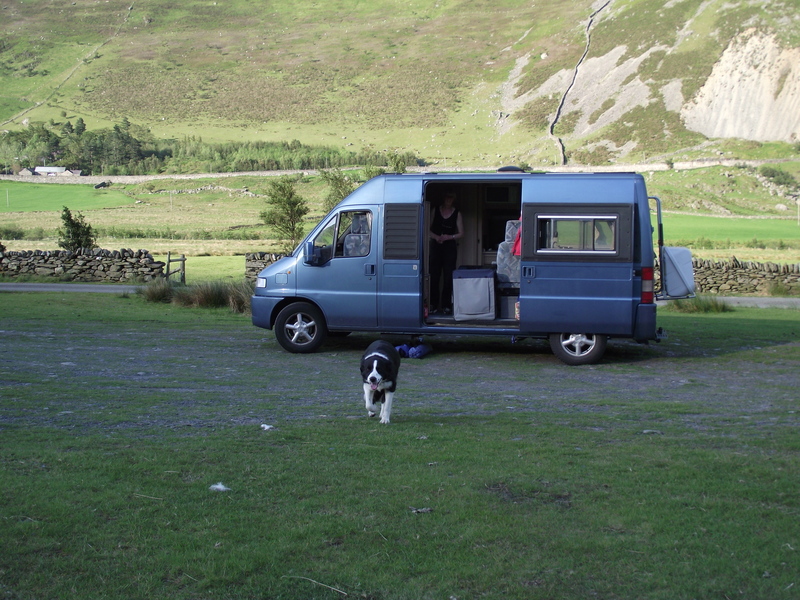 Typical isn’t it – you wait a year for a trip away in the camper, then two arrive at once! (For non-UK readers, that is an example of British humour at its best!) We’ve hardly used the camper this year due to a combination of moving house and also having the worst weather this summer since, err… last summer?! The camper had been parked up gathering cobwebs for most of the year, until our recent trip to Devon and Dorset (post #97 and #98). Then a chance came for two short trips, but both of them back to back – the turn-around was going to have to be pretty slick. 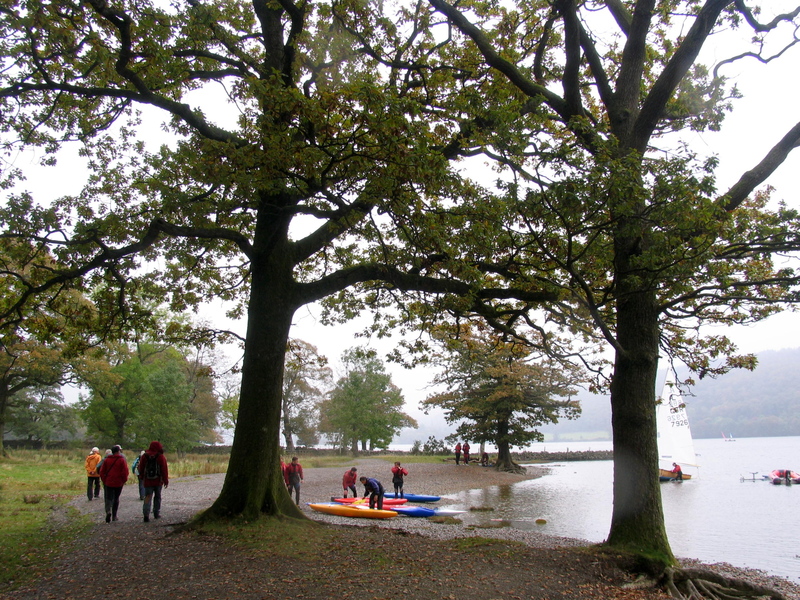 Phase 1 was a trip to Torver in the Lake District, to celebrate multiple birthdays. 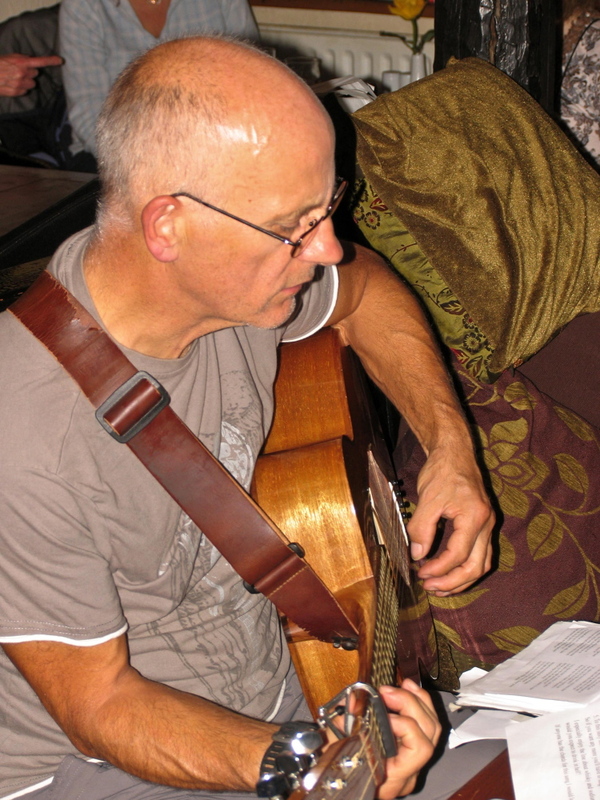 The plan was a familiar format – walk a few hills, come back, go to the pub, drink beer and make music until evicted, go to sleep. Things got off to a bad start with persistent rain putting a damper on things. The weather made a high mountain day unappealing – when you’ve got to my age, you have had enough ‘high’ days in the rain to know what it feels like to be wet. 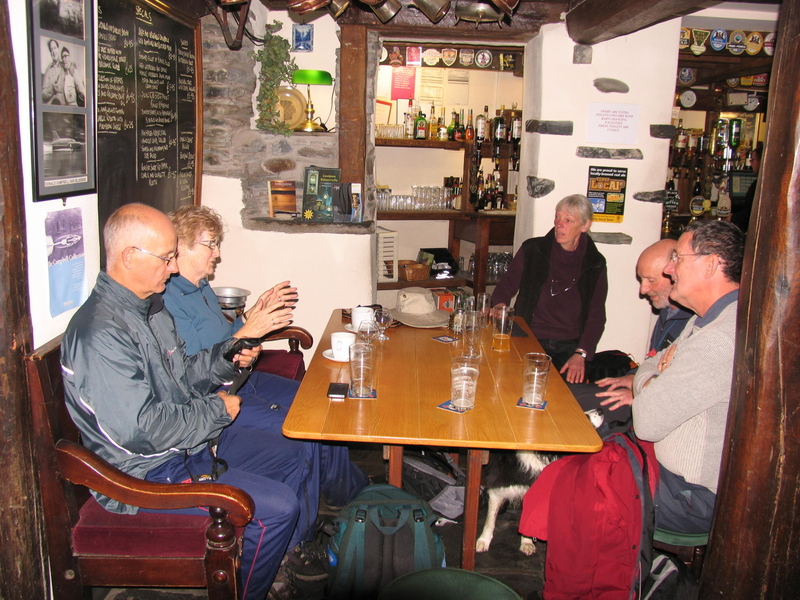 Instead, we walked from ‘Base Camp’ at Torver to Coniston village, ate our sandwiches under a tree, then sought refuge in the bar of The Sun Hotel. 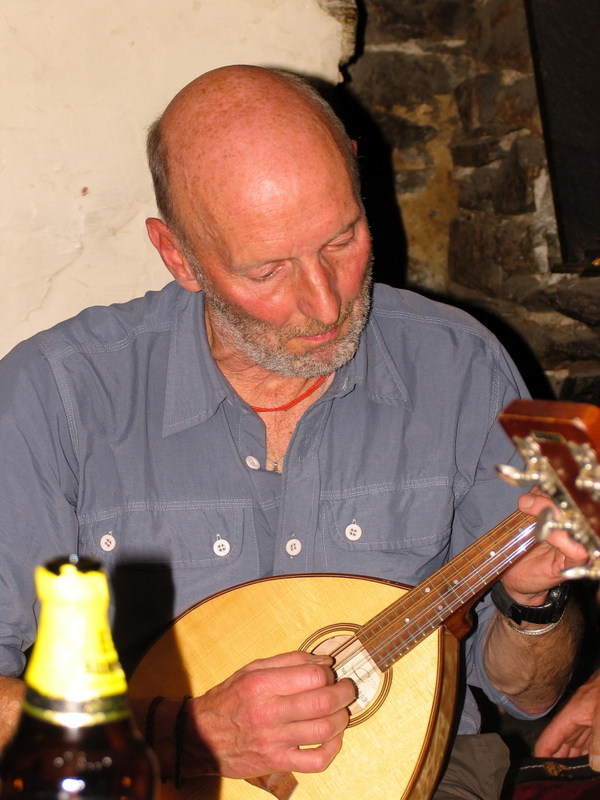 It would have been pleasant to have wasted a whole afternoon in The Sun, but the plan was a music night at the Church House Inn at Torver. 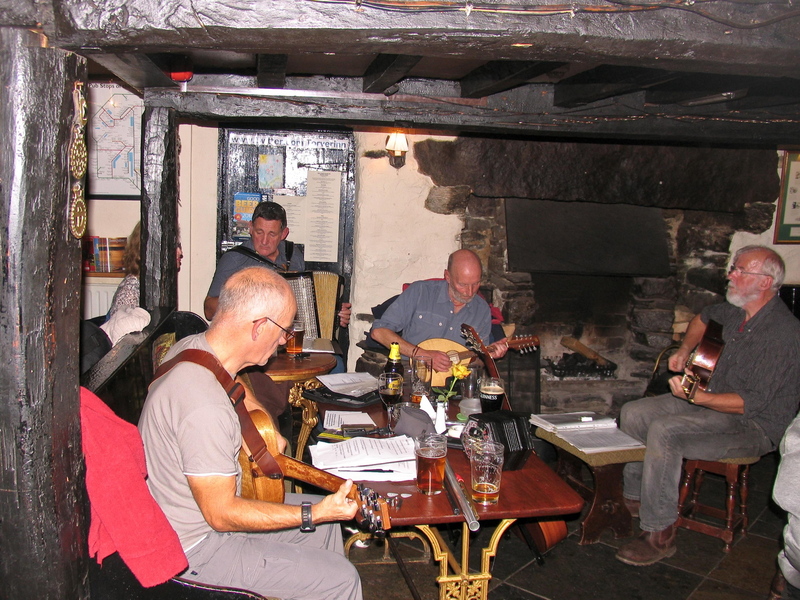 This must be the most under-rehearsed band in the world, meeting about once a year, but it always comes together – we’re still waiting for the recording contract though. 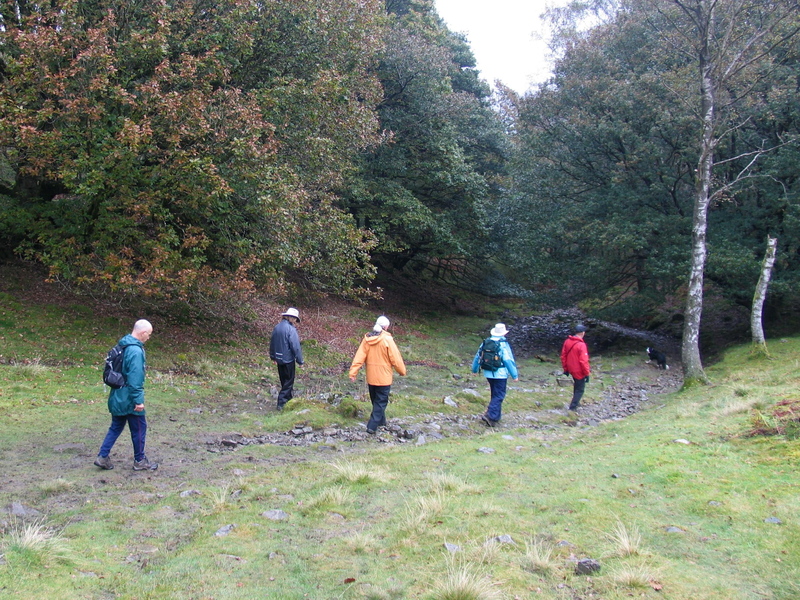 We were off the next day, heading back to North Wales. One quick turn-round of the van later and I was off to a training weekend with SARDA (Search and Rescue Dog Association) Wales. I’m currently working towards being accepted as a trainee with the organisation with my Border Collie ‘Mist’ (post #89 and #92) but this time the weekend was a solo trip. 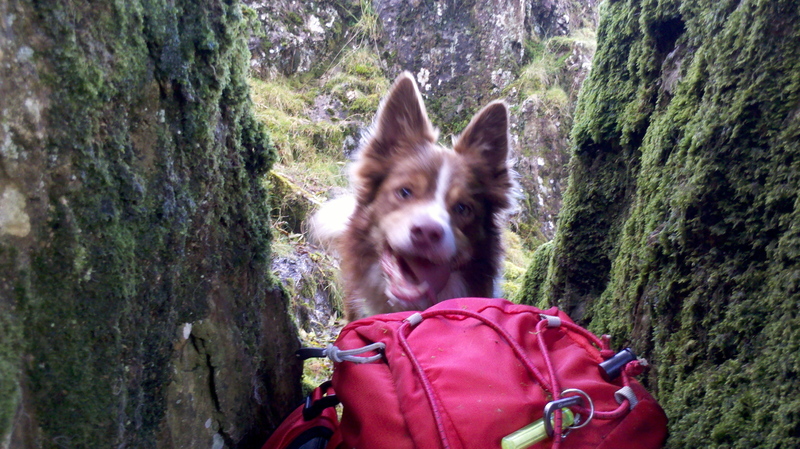 I was acting as a ‘body’ for the dogs to find, and the brief was simple – hide behind a rock, wait until found, then do it again. I last worked a search dog 25 years ago, but it’s still exciting to see the dogs in action. The dogs work on human scents carried by the wind, and can pick up an air scent from almost unbelievable distances – having done that they return to their handler, and indicate the ‘find’ by barking, before leading the handler in to the casualty. Their reward for this is to get to play with a favourite toy – on an operational search that game might also mean a human life saved! I sat in my hiding place for five hours, cosy and warm in a Gore-Tex bivi bag. 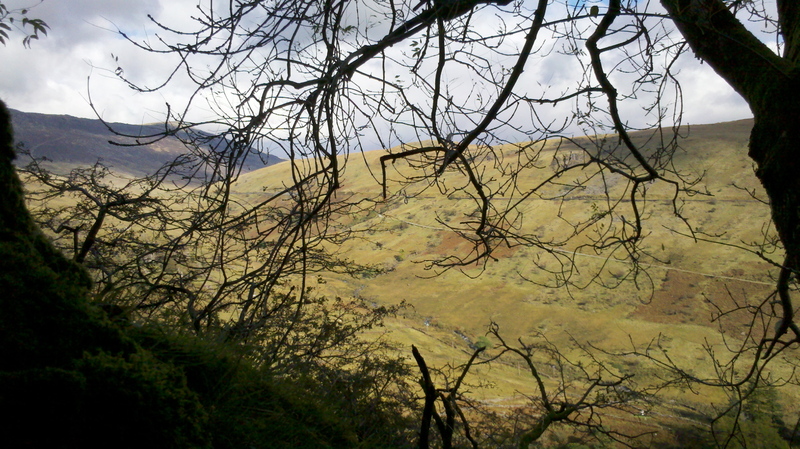 Three successful ‘finds’ later, and the training day was over – I made my way back to the well know view point on the road above Nantgwynant. 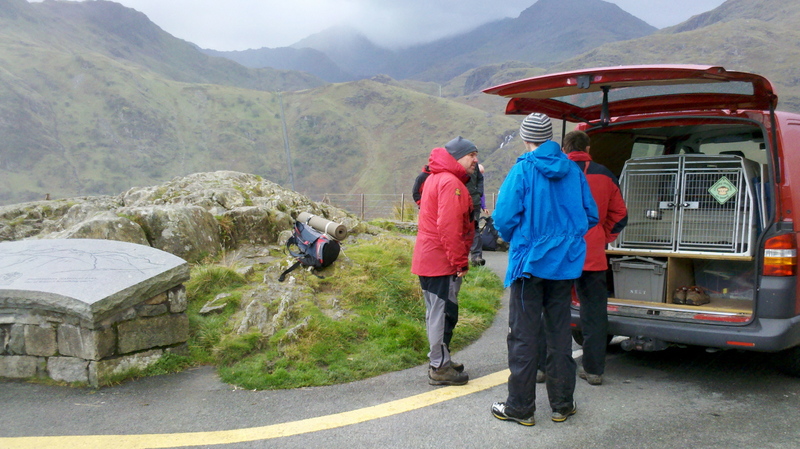 It was a steep pull up to the viewpoint so I was nicely warm on arrival – the observers and trainers had spent their 5 hours exposed to a cold Welsh wind, and were layered up to keep out a cold October day, so I had probably had the best of it. Not that anyone was worried – the pub back at the training centre at Rhyd Ddu was going to be nice and warm! 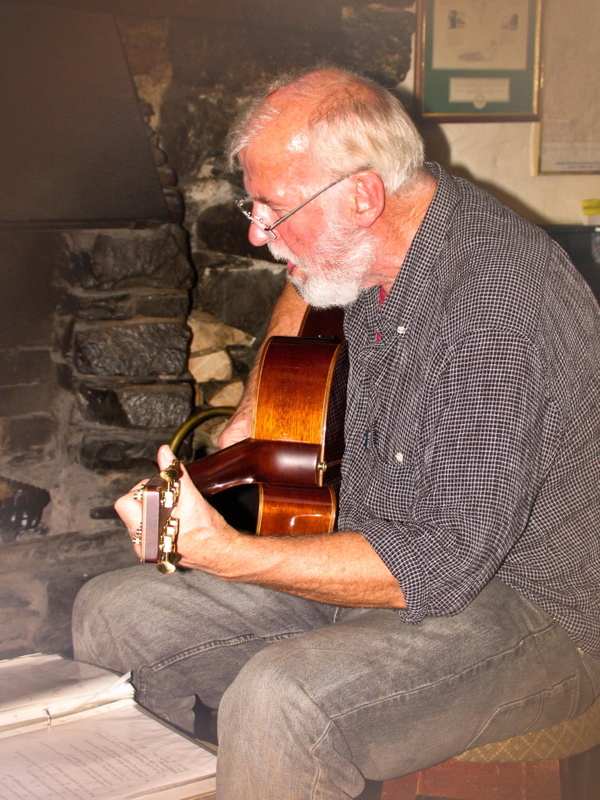 You can support the SARDA dogs by visiting this link – you can also support the featured itinerant musicians by buying them a pint if you come across them, but the dogs are the more worthy cause. p.s. This sitting round in pubs or behind rocks is all very well, but I was feeling the need to have a good day out on the hills. 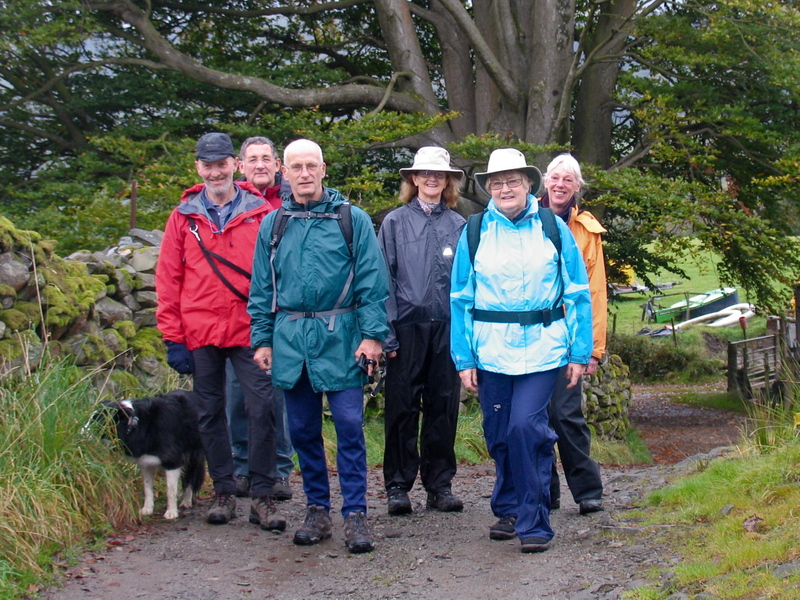 Then, guess what, two came along – come back next week and the week after for two trips out in the Arenig Hills in North Wales. This entry was posted in 2. 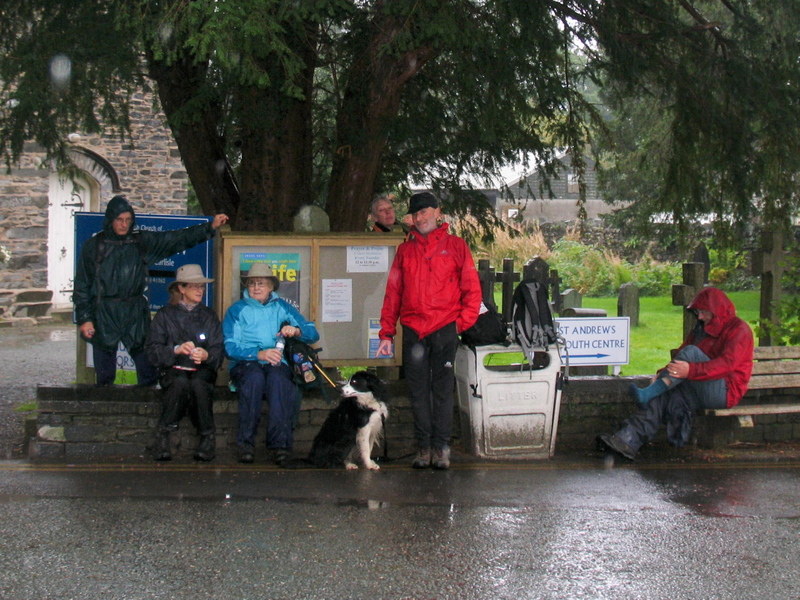 Lake District, 5. 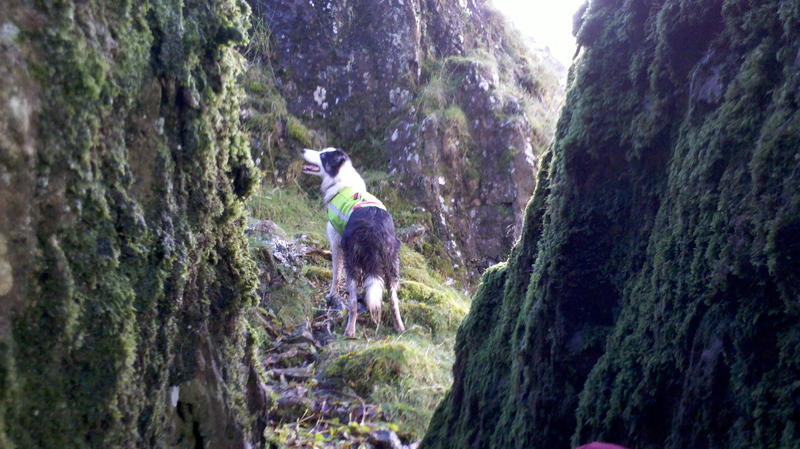 North Wales and tagged Border Collie, Cumbria, hillwalking, mountain rescue, mountains, photography, Snowdonia. Bookmark the permalink. sounds just like my sort of holiday Paul…I have been abroad several times but I am not the sort for sitting around on a beach all day…give me a walk and a pub with singing at the end of it and I am happy! 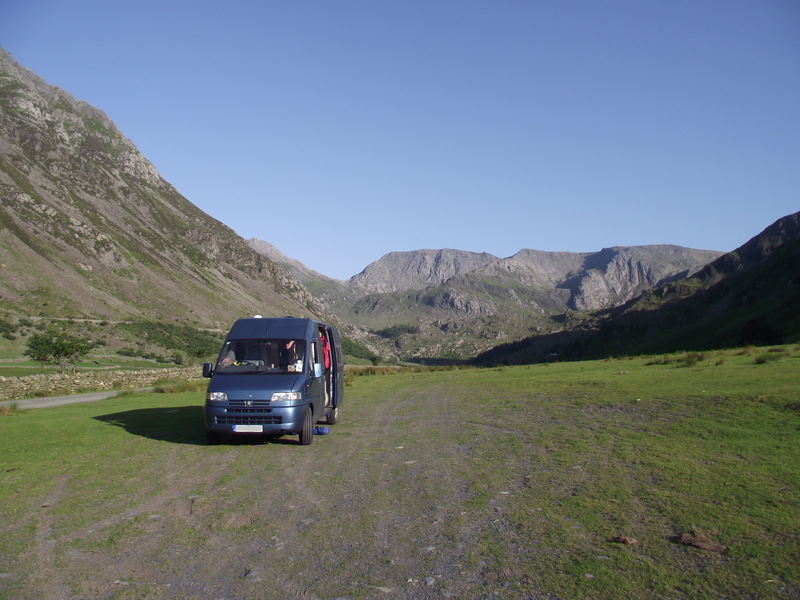 That first photo is a cracker – Ogwen Valley near the bend? Is the ridge in the background the Gribin Ridge? I did that once with Richard and it ‘gave me a few moments’! Bang on with the first pic – Gribin in the centre with Glyder Fach behind, and Idwal Slabs easy to pick out on the right. 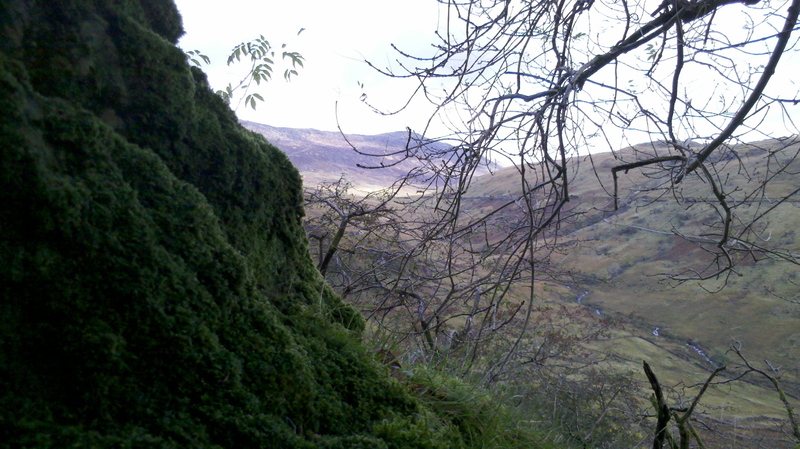 I’ve just realised that I’ve never gone up the Gribin Ridge – I’ve had fun coming down it, but never gone up. I’ll have to pop over when I get a free day as it’s less than an hours drive for me now. 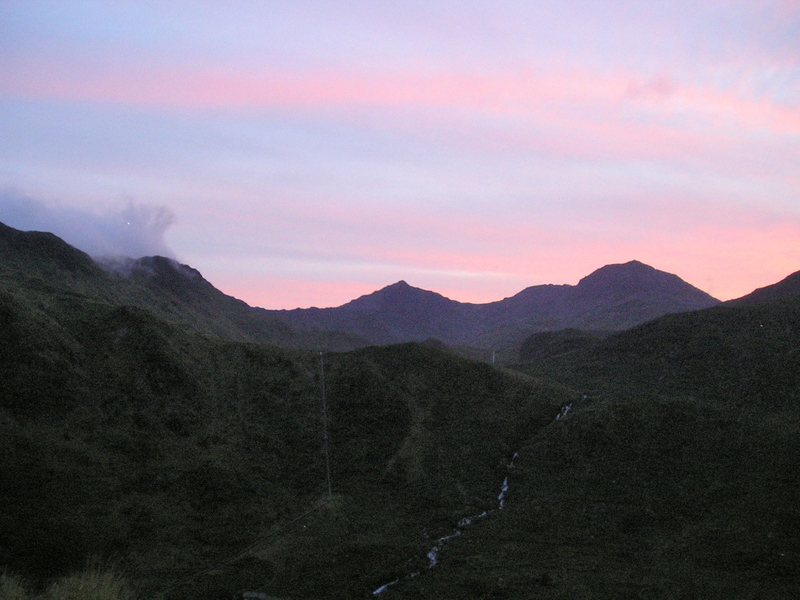 In that first picture of your hiding place, is that the end of Glyder Fach in your picture and the beck coming down under the road just before you turn off up the pass at Pen-y-Gwyrd? Yes, well spotted Carol. If you go to the very last pic (daybreak from the viewpoint) you can just pick out the Llyn Llydaw pipeline in the low light. 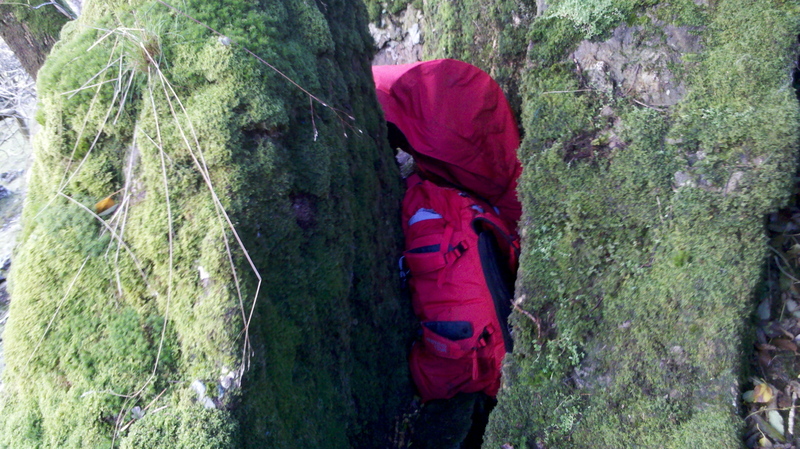 Find the bend in the pipe, where the angle changes from ‘up and down’ to ‘dropping down to the left’, and at that angle go ten o’clock to a small rock buttress, barely visible in the pic. 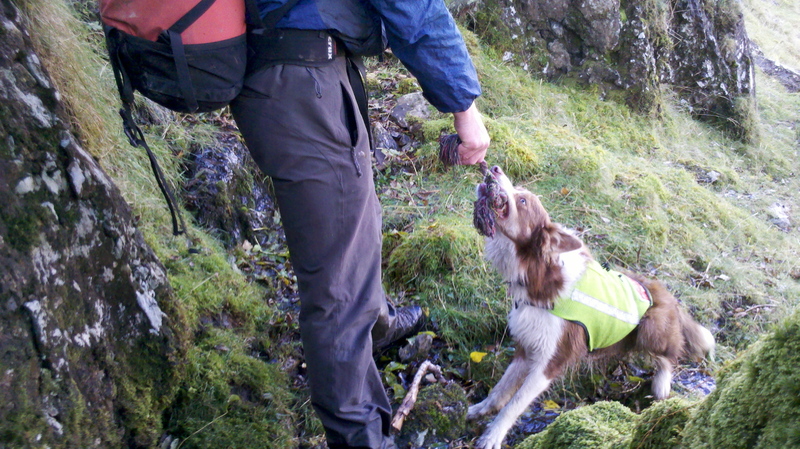 I used to body for SARDA – along with my Boxer Cleo – many years ago when Geoff was training his Collie. Don’t think they allow to bodies to take their own dogs with them anymore! ‘Mist’ came out on an evening training session that I bodied at, but the handlers working that night were quite chill about their dogs working to a casualty with a dog, a situation that probably does happen in the real world. That must happen quite often in real life if it’s an injured person – the dog will either go for help or keep you company. I seem to have gone the whole summer without a day out on the hills in the UK. That’s not good. I know that viewpoint on the road well. I’ve parked up there and taking a few images over the years. Nice read, Paul. Sadly my guitar sits in a corner gathering dust, can’t remember the last time I played it. Looks like you all had fun in the pub. 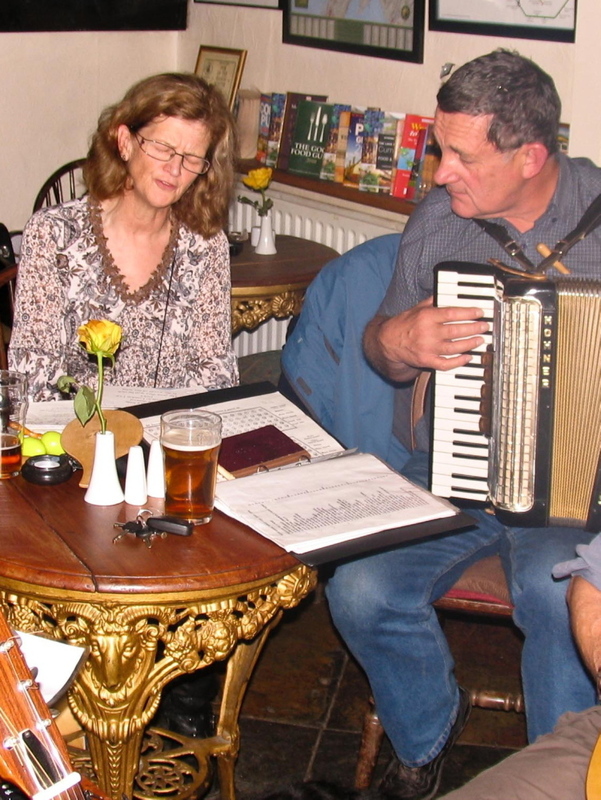 The pub was a fun night – we’re currently plotting something similar for New Years Eve, probably in the Yorkshire Dales. Like you, I know the viewpoint well – we’ve often parked the camper there overnight and had some of the best sunsets/dawns that I can remember. 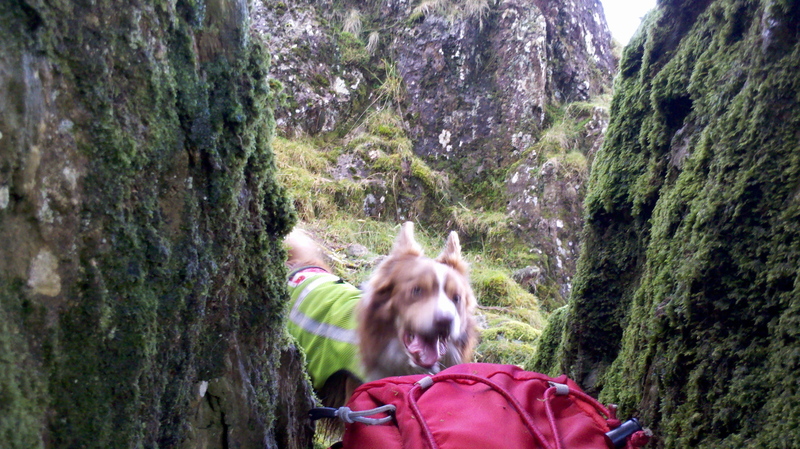 Geoffs collie once licked his face constantly until he got up, after he’d fallen and winded himself in the lakes one day.